Don't forget to refresh your browser for the latest update. 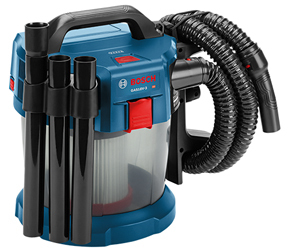 The new GAS18V-3N is an 18 volt shop vacuum from Bosch Tools, with a 2.6-gallon capacity. It delivers sustained suction for up to 24 minutes with the 6.0 Ah battery. The canister features Bosch-exclusive rotational airflow technology. It weighs only 10.2 lbs (not including battery) and features a washable HEPA filter that captures 99.97% of particles at 0.3 microns and larger. In addition, it delivers up to 51 CFM (cubic feet per minute) airflow and provides wet suction of up to a gallon and a half of water. The GAS18V-3N also comes with a complete set of attachments including three extension tubes, a crevice nozzle and a floor nozzle. 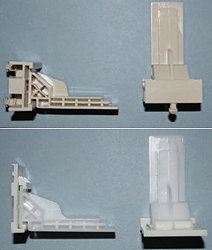 Adapters for connecting the vacuum cleaner to various Bosch power tools and their dust hoods are available separately. 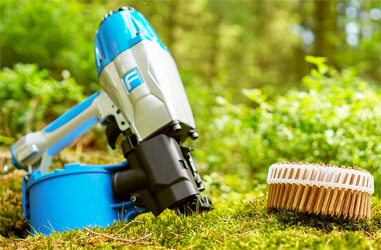 Delivering up to four minutes of runtime per battery amp hour (Ah), it’s compact and provides an integrated hose and on-board nozzle storage. The hose is 5.25 long, and there are three extension tubes. This is a bare-tool kit; the battery and charger are sold separately. Woodcraft Supply has added Show Dog Furniture Paint Topcoat to its line of Black Dog Salvage finishing products. It already offers Guard Dog Topcoat Paint Protector, which was introduced in 2016 along with Black Dog Salvage Furniture Paint. The new product was developed for projects that require a paint or stain color to remain unchanged by the application of a topcoat. To achieve that, the urethane content was reduced and the clearest acrylic available was added. That means a white painted surface will still be white after an application. Guard Dog and Show Dog were both developed to provide a stable, solid, cleanable covering to protect paint, but they can also protect any project surface whether it be wood, plastic, ceramic, glass or metal. For projects where exact color is not a requirement, or stronger protection is needed, Guard Dog may be the best choice - especially for woodworking projects and high-use surfaces like floors and countertops. 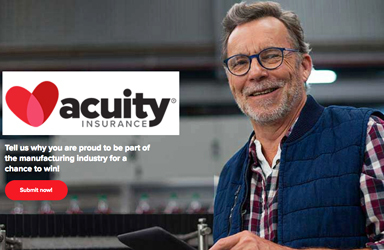 Acuity Insurance has been providing coverage for woodworkers in the United States since 1925. Now the company is hosting a video contest to celebrate manufacturing and the people who build our world. Video entries should be under one minute in length, and a woodworker doesn't need to be an Acuity customer to enter. The press release says: "As we get closer to Manufacturing Month (October), we want to hear why you are proud to be part of the manufacturing industry. What product does your company make? How do you impact others’ lives? Tell us your story using a creative video for a chance to win a $1,500 Visa gift card!" Festool has announced that the headquarters for Festool USA and Festool Canada, located in Lebanon, Indiana, will expand by 80,000 square feet. This is the second large-scale expansion within the past three years. 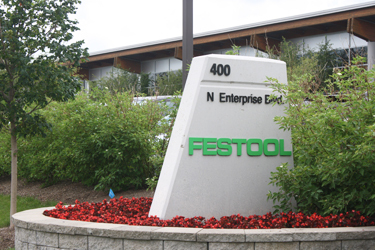 Company executives cite increased demand and robust sales behind the $9.3 million expansion, as the Festool brand continues to grow. Construction is scheduled to begin in November 2018 and will be completed by December 2019. Festool moved its North American headquarters to Lebanon in 2006. Nine years later, it doubled the facility size. In 2017 Festool began manufacturing its FS Guide Rails, using U.S.-sourced material, at the Lebanon facility and has plans to further expand manufacturing there. 65 new jobs will be created by the facility expansion. Founded in Germany in 1925, Festool offers a comprehensive line-up of power tools and system accessories. 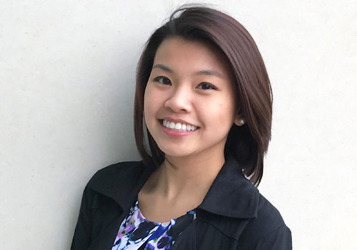 The American Society of Furniture Designers (ASFD) has awarded its 2018 scholarship to Annina Fremgen, a rising star at Kendall College of Art and Design, for the second year in a row. A senior this Fall, Fremgen will receive $2,500 from the ASFD Foundation for Education. According to the Society's president Catina Roscoe, Fremgen was the unanimous winner of the Touching Lives by Design scholarship, with runners up including Noah Howells of Appalachian State University and Mary Campbell Gray of Mississippi State University. Judging the competition along with Roscoe were ASFD board members Adria Torrez of the AWFS®, Abbey Eaton Lane of Redheaded Furniture Design, LLC, and Aimee Kurzner of Currey and Company. Fremgen previously received the scholarship in 2017. The new generation T-Type hinge from Titus will be on display at IWF at booth 1018 in hall C. According to the manufacturer the hinge provides time saving during the assembly of doors to cabinets, and delivers life-long consistent performance. The device's ConfidentClose technology provides accurate damping on a wide range of doors, especially in kitchen and bath applications. Its rigid design "ensures reliable operation over a wide range of applications, even in the case of accidental misalignment and inaccurate drillings". A 3-way snap-on mounting feature offers intuitive hinge-to-plate mounting in three directions. This enhances and simplifies the assembly experience, and enables easy door installation especially in tall cabinets where several hinges per door are required. 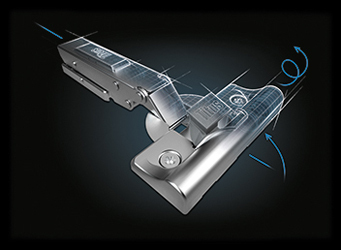 An integrated adjustment screw provides intuitive adjustment of the damping action, which means consistent soft closing on doors of different sizes and weights. Tools Today, which is located in Rego Park, NY, has uploaded a new video on YouTube. It helps woodworkers learn step-by-step from CNC master technician Jeff Searles of Work Against The Grain as he thoroughly explains how to calculate feeds and speeds for a CNC machine. The video covers issues such a defining chip load and determining how fast the CNC feed rate should be, in Inches Per Minute (IPM). 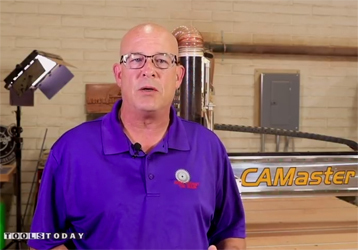 Using his CAMaster 7 HP Cobra X3 CNC machine, Jeff answers these questions and more. Work Against The Grain is based in Mesa, Arizona and Jeff's stated goal is to help people speed up their learning curve on CNCs. He has also posted a few plans that people new to the process can use as learning aids. First published in Casper, Wyoming back in 2003, WoodEzine was one of the first electronic woodshop publications to find a home on the Web. Now fifteen years old, it is still free with no sign-ins or passwords. The e-zine publishes daily industry and woodworking tool news, and has a number of other resources on the site such as a shop primer, CNC page, and a huge database of the industry. Readers can also find schools, classes and clubs on interactive maps on the site. It is now published from our headquarters in Belle Fourche, South Dakota, where the offices are located in the old City Hall. 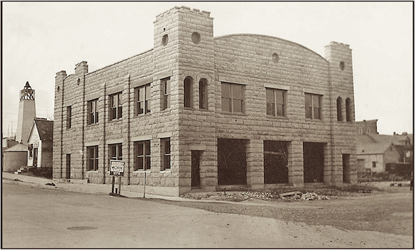 The image shows the 7500 square foot building in 1936, when it was being constructed from local sandstone as a WPA project. Grass America is located in Kernersville, North Carolina and the company has announced a new partnership with Avitru which will result in the inclusion of Grass products in MasterSpec®, the official specification system of the American Institute of Architects (AIA). MasterSpec provides architects, engineers and specifiers with the most comprehensive technical specification system available. 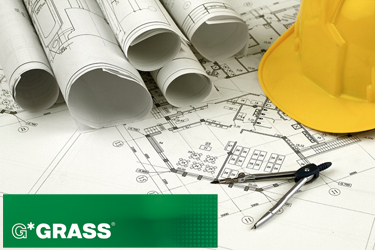 The company has also added a new Architectural Specifications page to its GrassUSA.com website. The new page can be found within either the Resources or Product sections, and includes direct links to the Grass 3-Part Specifications. Avitru (formerly ARCOM) is the exclusive distributor of MasterSpec. Bainbridge Manufacturing Inc. has introduced two new plastic drawer slide sockets. Part #698 is a 3-3/4" rear socket adjustable undermount (8mm pegs) assembly. It has 3/4" of adjustability left to right, is made of high strength material, and fits undermount drawer slides from many different manufacturers. And part #6013 is a 3-3/8" long adjustable undermount rear socket assembly with 3/8" left-to-right adjustment and the same high strength specs. Both parts are made in the USA, in Bainbridge's Waterville, Washington facility. Bainbridge Mfg., Inc. is North America's leading manufacturer of plastic hardware for cabinets, closets and furniture. The company has been injection molding parts for woodworkers for more than half a century, and its 2018 catalog of more than six hundred parts can be downloaded here in PDF form. 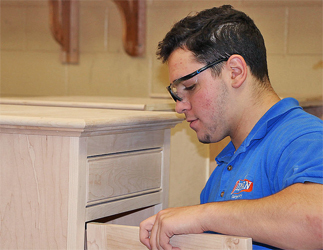 Diman Regional is a vocational technical high school in Fall River, Massachusetts and among the courses it offers is a Carpentry-Cabinetmaking program. The school has just added Cabinet Vision by Vero Software and will begin training students to use the software in September. The wood program has used Vero's Alphacam computer aided manufacturing (CAM) solution for wood, metal, stone and glass since 2005. And it offers students a co-op program through which they are able to gain experience on actual jobsites. "Most woodworking companies out there right now are using Cabinet Vision," said Manny Botelho. He's the head of the wood department and also a cabinetmaking instructor. "And the students who get the co-op jobs are using Alphacam and Cabinet Vision. There is a lot of demand in the workforce for people who know how to use the software." 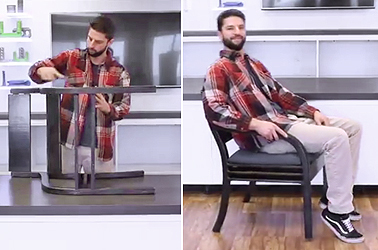 Lockdowel Inc. has an all-new approach to simple, fast chair assembly. 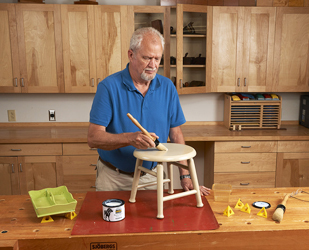 The Slide-to-Lock chair fastener system is a unique product design that uses standard Lockdowel EClips fasteners to assemble a standard wood chair in about a minute - and no glue, tools, screws or cam locks are required! The same chair using conventional screws and bolts requires at least six minutes. The new chair can be seen at IWF in Booth 8073. "Besides giving the industry a stronger, easy-to-assemble chair," says CEO Fred Koelling, "it shows how Lockdowel fastening can be implemented in complex furniture designs." Chairs are about 40% of the U.S. furniture market and traditional versions use 8-12 bolts plus screws and glue that can loosen over time. The new chairs can be shipped flat-pack, assembled on site and never come apart with vibration or wear. Watch the videos here and here. 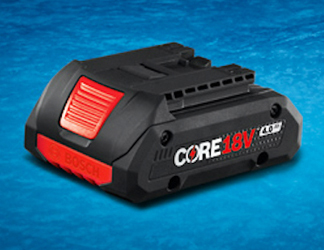 Using new 21700 Lithium-ion cell technology, Bosch has developed the GBA18V40. This is a 4.0 Ah battery that combines all of the capability of the original CORE battery into a smaller, lighter package. It's designed to make day-to-day work easier, particularly repetitive applications and overhead tasks. The power cells are arranged in a single layer, which makes a smaller and lighter pack possible. And Bosch's CoolPack 2.0 technology increases the lifetime of the battery as well, delivering up to 135 percent longer life. Heat is the enemy of any battery and this design ensures heat dissipation is maximized thanks to a housing that completely encases each cell. Optimized cell connectors made of copper versus copper-coated galvanized steel offer lower resistance, which means increased power output over a longer period of time. The inventor of MicroFence, Rich has been an avid woodworker for half a century, and his new site is described as "a scrapbook from a 50-year furniture making career". Rich is a very creative person with accomplishments in the fields of music, engineering, designing and building. The site showcases many of his projects over the years, most of them built in his Hollywood workshop and many for movie industry celbrities. Two elements - his engineering background, and a father who was a machinis - have informed his woodworking and also led to his developing the MicroFence system. The device "makes your hand-held router into the precision milling machine it’s capable of being, in all straight line, circular and elliptical woodworking applications. Bringing its concept of precision directly from the machine-tool trade, it provides micrometer-adjusted measuring capability that streamlines set-ups by maximizing accuracy and efficiency." 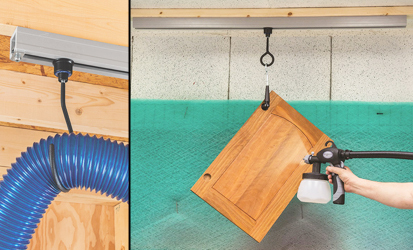 An affordable new ceiling track system from Rockler can suspend cords, hoses and other items from above, but still allow them to be moved. It's a collection of interchangeable ring and hook attachments that thread into two available types of small wheeled trolleys, which in turn roll along in the ceiling-mounted track. Adjustable stops limit the trolleys' movement and stop them rolling out of the ends. All components are available individually or in combo packages, so users can customize a setup. Uses include suspending cabinet doors so all sides can be spray finished at once; getting electric cords out of the way; and placing lights or dust hoses where they're needed. The PVC track is sold in 4' sections (they can be cut), and each section is rated for 60 pounds and comes with mounting hardware and instructions. About 1,200 wood industry workers who are members of the International Association of Machinists and Aerospace Workers (IAM) will vote on whether they will go on strike at Weyerhaeuser Co. next week. The face-off is taking place in the Northwest, and has been in negotiations for some time. The company has made what it calls a final offer, and the vote next week will either resolve the dispute, or close some sawmill gates. 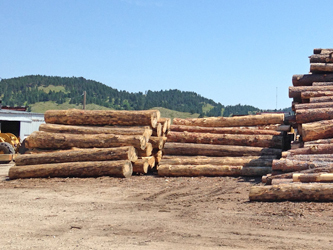 The big issue is the number of union loggers Weyerhaeuser hires to bring in raw material, as opposed to the number of independent operators it buys from. In an effort to control costs, the company has gradually been tilting toward more independents over the past few decades. 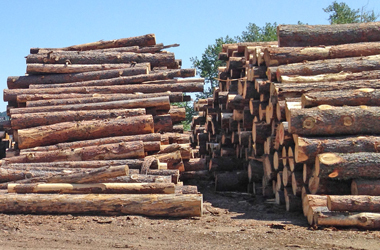 Many logs are harvested and exported, so they never see the inside of a U.S. sawmill. Also at issue are healthcare, wages, vacation days and mandatory overtime. CombiLift is an Irish company with U.S. headquarters in Greensboro, NC.Its incredibly versatile forklifts are available in 85 countries. Last month, the company opened a new global headquarters and manufacturing facility in Monaghan, Ireland, and also announced that it will be significantly expanding its workforce with the creation of 200 new jobs in the next three years. The new 500,000 square foot facility will allow Combilift to double production within the next five years. 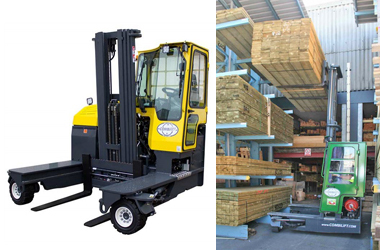 The company currently exports 98% of its products, which include multi-directional forklifts that combine the features of a counterbalanced forklift, side loader and a very narrow aisle truck in one vehicle; sideloader forklifts for long loads such as glue lams; and a number of other unique load handling solutions. 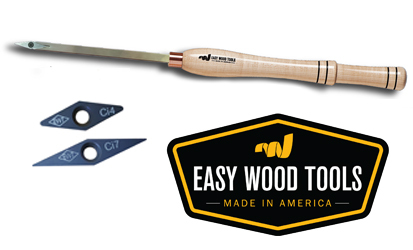 Easy Wood Tools in Kentucky has introduced a new turning tool, and also a new cutter. The tool is a mid-sized micro detailer (item 7700, with a malpe handle) that complements existing larger and smaller versions. And the cutter is the Ci7 micro detailer (at bottom in photo), which offers turners the opportunity to make very fine cuts in detailed turnings such as finials. The company manufactures replaceable carbide cutter woodturning tools that address fatigue, safety and efficiency issues. They eliminate the need for sharpening, and are designed with support directly beneath the cutting edge to transfer pressure downward. That allows the lathe to absorb pressure that normally would be handled by the hands and body. Due to neutral cutting angles, the tools are easy to use and have a much reduced possibility of kick-back or catches over traditional tools. The Cabinet Makers Association (CMA) will present a number of workshops at IWF in Atlanta. 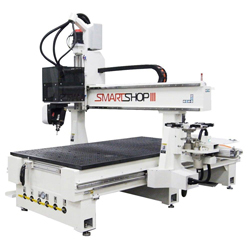 Among these is Robots in the Small to Medium-Sized Shop, which will be led by John Park from SCM Group, and Matt Krig of Northland Woodworks. 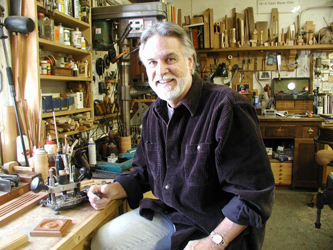 This session will explore the not-so-distant future of robots in the woodworking shop, and attendees will learn what they should be thinking about now to prepare for the future. Click here for a complete list of the eleven seminars, which also include The Art of Pricing Profitably, Boundary-pushing with your Nested-based Router, and Acing that Modern Job. The Association is also organizing shop tours of local cabinet manufacturers on Tuesday, August 21st. That begins at 7:30 am with breakfast and continues throughout the entire day. Registration is $55 for current CMA members and $75 for non-members. In fact, prospective members are invited to all of the CMA events before and during the show. 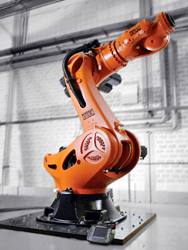 The image of the robot shown here is from CNC Robotics Ltd., a specialised robotic machining company based in Durban, South Africa and Liverpool in the U.K.
LignoLoc® wooden nails have been awarded a German industrial innovation prize, the MaterialPREIS 2018. The revolutionary nails are made from indigenous beech wood and boast a tensile strength similar to aluminium nails. Their mechanical properties allow the nails to be driven into solid structural timber, using Fasco's LignoLoc® pneumatic nailer. They require no pre-drilling, and form an inseparable bond with the timber. The prize-giving and presentation ceremony took place in Stuttgart., and a total of 31 materials and their manufacturers from the world of industry, trades and design were honoured with this prestigious award for special materials. The nail system has also made it into the list of Green Product Award Winners for 2018. Public voting begins for that prize in mid-July, and the award ceremony takes place in October. 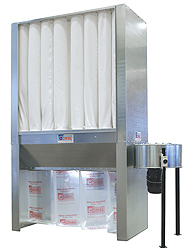 The FM10 READY is a new 10 HP, 5000 CFM indoor dust collector from Coral S.p.A. of Italy. It has a total filtration area of 510 square feet and is in full compliance with the latest NFPA rules & regulations. With its space-saving design, high performance, and extremely low noise level, Atlantic Machinery says that "it is the most affordable and practical solution for your wood dust extraction needs". Coral is becoming a household name in the woodworking field, with hundreds of portable and stationary dust collectors plus spray booths, cartridge filters and downdraft tables. The company's innovations (it was the first to introduce high efficiency cartridge filter systems, and wet spray booths) have made them a leader in the industry. Woodworkers can top by Atlantic Machinery’s IWF booth (6713) to view demonstrations and talk with a Coral representative about the FM10 READY and other Coral offerings. Atlantic Machinery Corporation is located in New Milford. What do you get when you upgrade a laser measure with a 5-megapixel camera, full-color screen and accuracy up to 400 feet, even in bright light? Say hello to the two new lasers in the Bosch Power Tools BLAZE lineup, the GLM400C and GLM400CL. 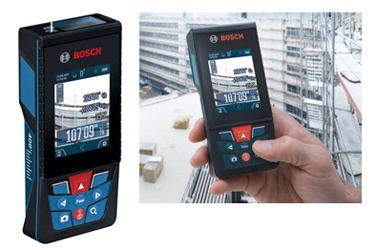 Both outdoor laser measures are equipped with a 5 MP, 8X zoom camera with scratch-proof screen. They can find the laser target at up to 400 ft. in bright conditions, or in an expansive indoor space, or even against busy backdrops. The easy-to-read color display illuminates large numbers, and all measurements can easily be transferred to a smartphone project planning app. The difference between the models is that the GLM400C is powered by three AA batteries, and the GLM400CL with Camera includes an integrated, rechargeable 3.1 Ah Lithium-ion battery. Both are priced under $300 USD. 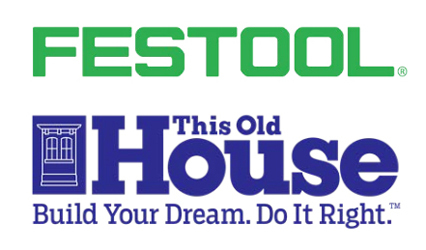 Festool has announced a new media and content partnership with This Old House that will include PBS television underwriting spots, video content creation and distribution, events, category exclusivity on the New Yankee Workshop channel, and participation by leading TOH talent. The partnership will debut this fall. Festool Tool School will be a series of videos to stream on FestoolUSA.com, thisoldhouse.com, and select online retailers. In addition, TOH experts will join the faculty of Festool training classes. Festool now becomes the exclusive tool sponsor of the New Yankee Workshop (NYW) channel on thisoldhouse.com. Launched online April 30, 2018, that channel provides hobbyists with a robust and significant increase to the TOH video library. 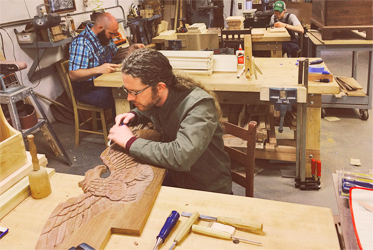 The Chattanooga Woodworking Academy is a non-profit professional woodworking school with a four-year course of study where the training is hands-on, and students participate in professional commission work from the beginning. Director Bill Carney was interviewed on WRCB television on June 29th after an off-duty firefighter riding his bike (Chattanooga Fire Department captain Jonathan Lehman) noticed smoke that was apparently generated in a sawdust barrel, perhaps from an oily rag. The front door of the woodshop was destroyed along with a piece that had just been completed by a student. It was a tall cabinet with a door and drawers in walnut and maple that Carney described as "just gorgeous". The building was empty as classes were out for the summer. Four fire companies responded and forced entry. The fire was contained to the shop area and was extinguished in a few minutes. In the first week of July, the retail price of a standard 2x4-8 stud at Lowes.com in Rapid City, South Dakota was $4.38. And at The Home Depot in Stadium, Florida it was $4.07. Construction prices are soaring thanks to fires out West last year, the demand created by hurricanes, and a trade war with Canada. Steel and other commodities are also being affected as the U.S. begins a new trade war with China and the EU. The Turner Building Cost Index is published quarterly by Turner Construction in New York. The company has 5,200 employees and does $10 billion of construction a year. The Index reports that non-residential construction costs are up 5.63% over a year ago in the second quarter. And Randy Noel, the chairman of the National Association of Home Builders, said on June 19th that this year's rising lumber prices "have increased the price of an average single-family home by nearly $9,000". It doesn't look like the increases will stop soon. Atlantic Machinery Corporation has been named exclusive importer and distributor in North America of Fravol Export Srl of Vigonza, Italy. Since 1963, Fravol has offered high-quality and innovative edgebanding machines. Two of them will be showcased in Atlanta (booth #6713). 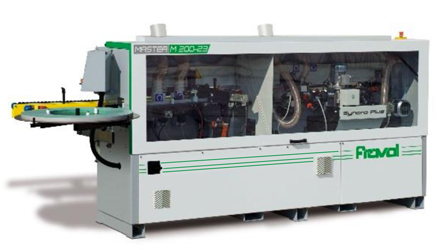 The Master M200-23 (shown) is a semi-automatic machine that meets space needs without giving up edge quality. It has rapid set-up, a color touch screen and a PLC control, plus Fravoli's patented Syncro Plus corner rounding unit for end trimming to work with thin thickness edges, and for end trimming and corner rounding when the edge has more thickness. And the Model VSB is a machine for straight, round, and curved panels. It has a new patented working table with nylon glides. Thinking of Buying a Big Machine? 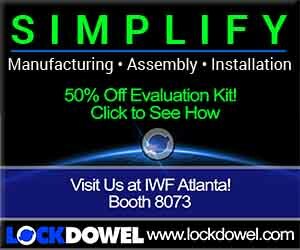 On the first day of IWF in Atlanta, the Cabinet Makers Association (CMA) and KCD Software will present a session on exactly that. It will feature a lively discussion among four small shop owners who will tell their stories of taking the leap and buying $50k to $250k machines. They'll share what they've learned, what they wish they had known, and what they'd do differently if they had to do it again. This session will cover it all – selection, negotiation, financing, moving, set-up, processes, compressed air, power, dust collection, tooling, the learning curve and all of the surprises that come with integrating a big machine into your shop. IWF will take place August 22-25, 2018 in Atlanta, Georgia at the Georgia World Congress Center. Attendees can register for sessions online. Still Looking For Quality Employees? There's a critical shortage of trained workers in woodworking-related fields, and a limited number of training programs dedicated to filling that need. 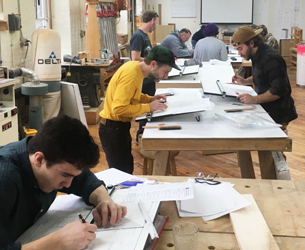 The New England School of Architectural Woodworking (NESAW) offers a five-month program that prepares both beginning and experienced woodworkers for careers in the field. Instructors work to standards set by the Architectural Woodwork Institute. After learning cabinetmaking fundamentals, students work directly with local shops to design, draw, plan, build, finish and install projects, which are usually kitchens. This exposes students to the entire project life-cycle and prepares them for a range of jobs within the industry, or for self-employment. The school also arranges several field trips. Administrators are currently looking for feedback from woodshops on ways to make the program better fit their needs. So, they're inviting professionals to an Employer Roundtable on July 11th in Easthampton, Mass. Contact Greg Larsen (info-at-nesaw.com) for details. At just about the exact center of Minnesota, the town of Collegeville is home to St. John's Abbey. The Benedictine monastery is on the National Register of Historic Places and is home to more than 130 monks... and a woodshop. It's also the location of St. John's University, which was founded in 1883. The Abbey and its wards suffered through the child abuse nightmare during the last century, and have spent the past couple of decades moving forward. 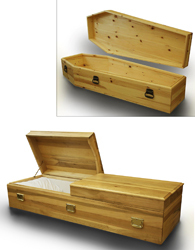 The woodshop helps fund operations by building and selling a selection of crosses, laser engraved plaques, kitchen accessories (at right), urns, coffins and caskets (at left). The monks work in solid maple, oak and pine. "Daily Work among the Benedictine monks," the Abbey says, "articulates and punctuates the spiritual life of the community, giving physical expression to the spiritual fruits of a life of worship".